1. Bassem Merit,Shoucri. 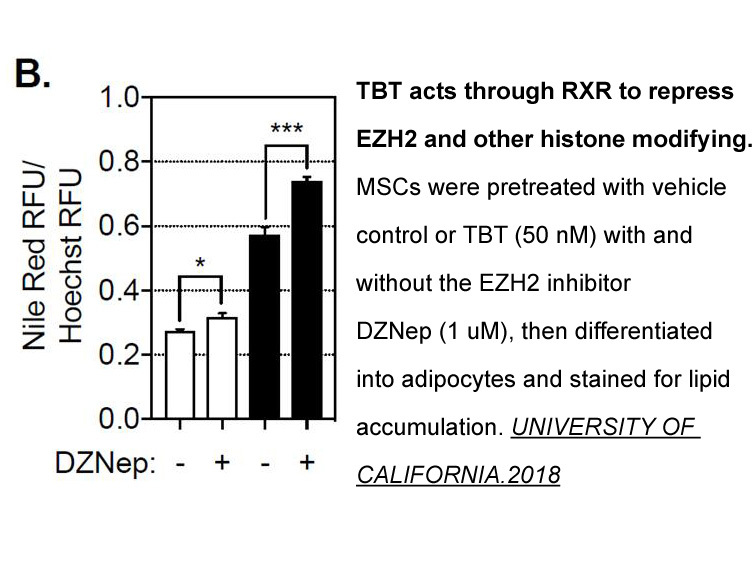 "Retinoid X Receptor Activation by the Endocrine Disruptor Tributyltin Promotes Adipose Lineage Commitment and Perturbs Adipocyte Function" UNIVERSITY OF CALIFORNIA.2018. 5. Bassem M. Shoucri, Eric S. Martinez, et al. "Retinoid X receptor activation alters the chromatin landscape to commit mesenchymal stem cells to the adipose lineage." Endocrinology. 2017 Jul. 1. Fiskus W1, Wang Y, Sreekumar A et al. 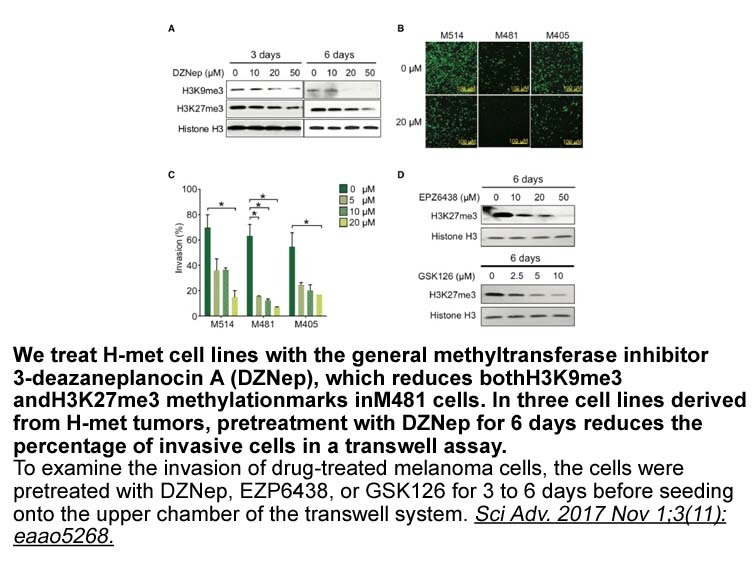 Combined epigenetic therapy with the histone methyltransferase EZH2 inhibitor 3-deazaneplanocin A and the histone deacetylase inhibitor panobinostat against human AML cells. Blood. 2009 Sep 24;114(13):2733-43. 2. Vella S, Gnani D, Crudele A et al. EZH2 down-regulation exacerbates lipid accumulation and inflammation in vitro and in vivo NAFLD.Int J Mol Sci. 2013 Dec 12;14(12):24154-68. 1. Cell-based proteome profiling using an affinity-based probe (AfBP) derived from 3-deazaneplanocin A (DzNep). Chem Asian J. 2013 Aug;8(8):1818-28. doi: 10.1002/asia.201300303. Epub 2013 Jun 7. 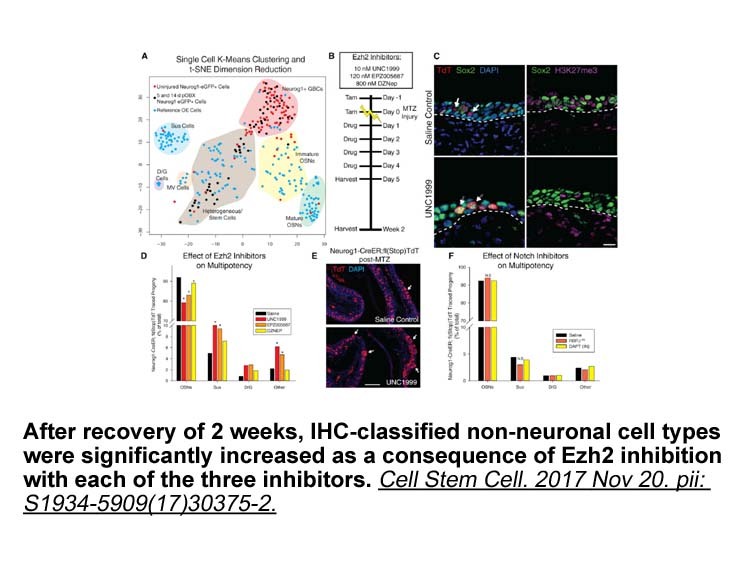 A novel probe derived from DzNep, an inhibitor of histone methylation, was used to identify potential cellular targets of DzNep in living mammalian cells. DZNep significantly induced erythroid differentiation in K562 cells and human primary erythroblasts derived from cord blood CD34-positive cells and reduced levels of ETO2 protein in K562 cells, which indicates DZNep induced erythroid differentiation may be partially attributed to its inhibition of ETO2 rather than EZH2 inhibition. 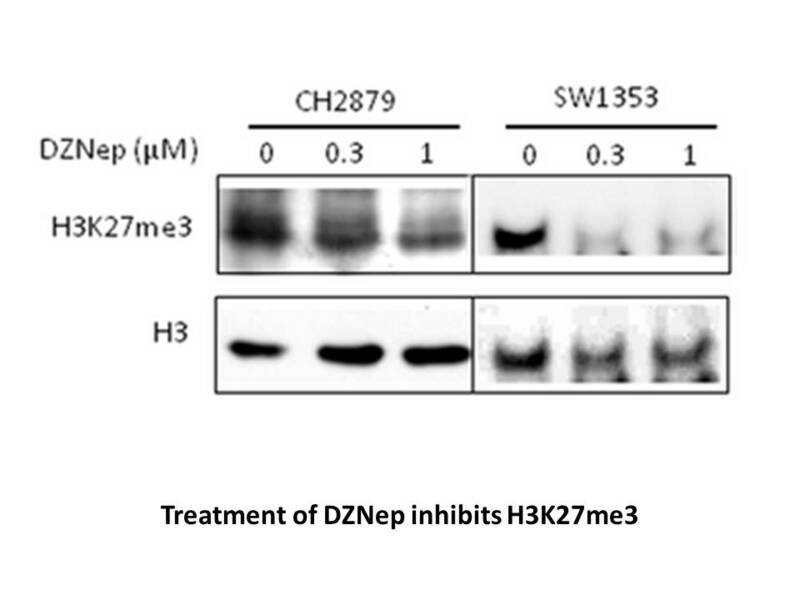 DZNep inhibited the growth of TP53 wild-type cells by promoting p53 protein accumulation and activating p53 pathways and failed to inhibit the growth of TP53 mutant-type cells, even though DZNep induced EZH2 depletion and H3K27me3 histone mark reduction were observed in both thyroid cancer cells. 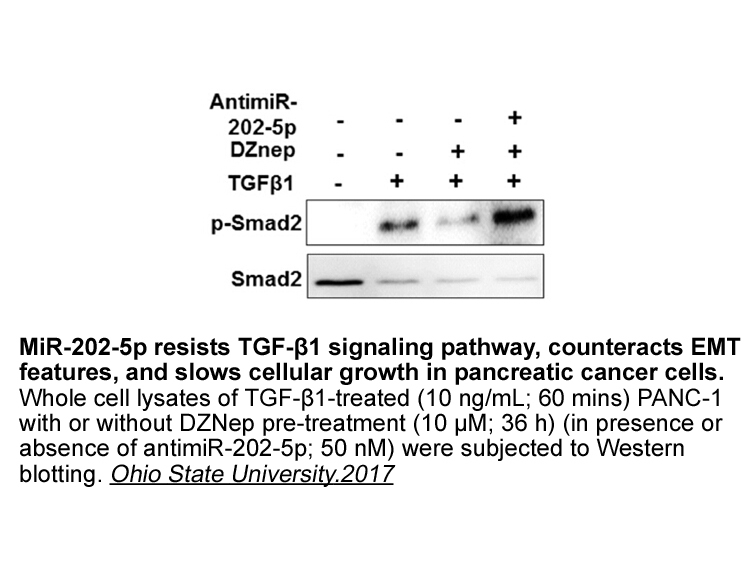 However, the combination of DZNep/PRIMA-1 restored the sensitivity of TP53 mutant-type cells to DZNep by reactivating p53. 4. TP53 genomic status regulates sensitivity of gastric cancer cells to the histone methylation inhibitor 3-deazaneplanocin A (DZNep). Clin Cancer Res. 2012 Aug 1;18(15):4201-12. doi: 10.1158/1078-0432.CCR-12-0036. Epub 2012 Jun 6. 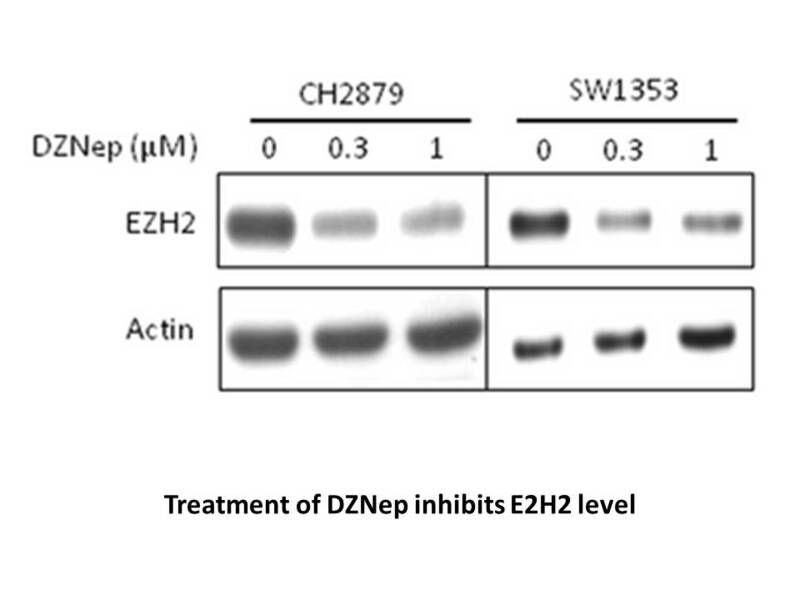 DZNep exhibits its anticancer activity by depleting EZH2. 5. Epigenetic therapy with the histone methyltransferase EZH2 inhibitor 3-deazaneplanocin A inhibits the growth of cholangiocarcinoma cells. Oncol Rep. 2014 Feb;31(2):983-8. doi: 10.3892/or.2013.2922. Epub 2013 Dec 13. 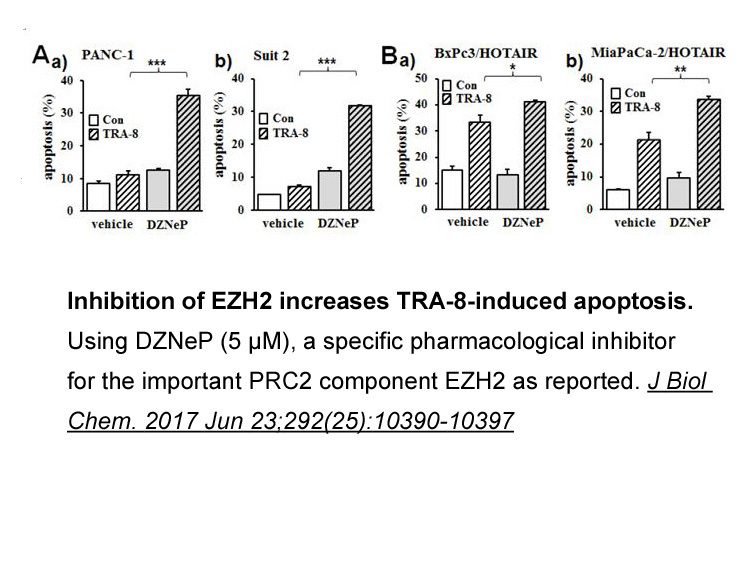 DZNep depleted EZH2, inhibited histone lysine 27 trimethylation and suppressed proliferation partially through upregulation of p16INK4a and p17KIP1 in cholangiocarcinoma cell lines RBE and TFK-1 resulting in induced G1 arrest and apoptosis. Glazer R I, Hartman K D, Knode M C, et al. 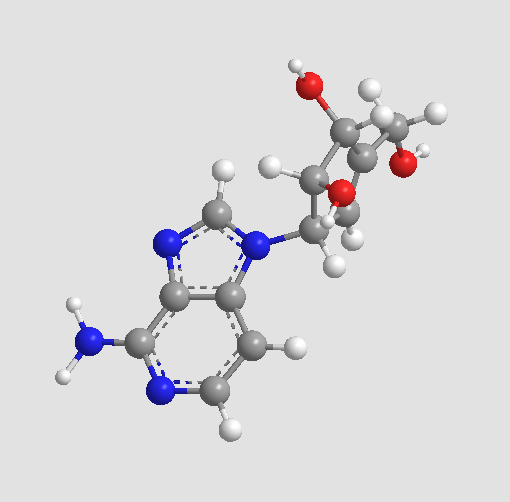 3-Deazaneplanocin: a new and potent inhibitor of S-adenosylhomocysteine hydrolase and its effects on human promyelocytic leukemia cell line HL-60. Biochemical and biophysical research communications, 1986, 135(2): 688-694. Chiba T, Suzuki E, Negishi M, et al. 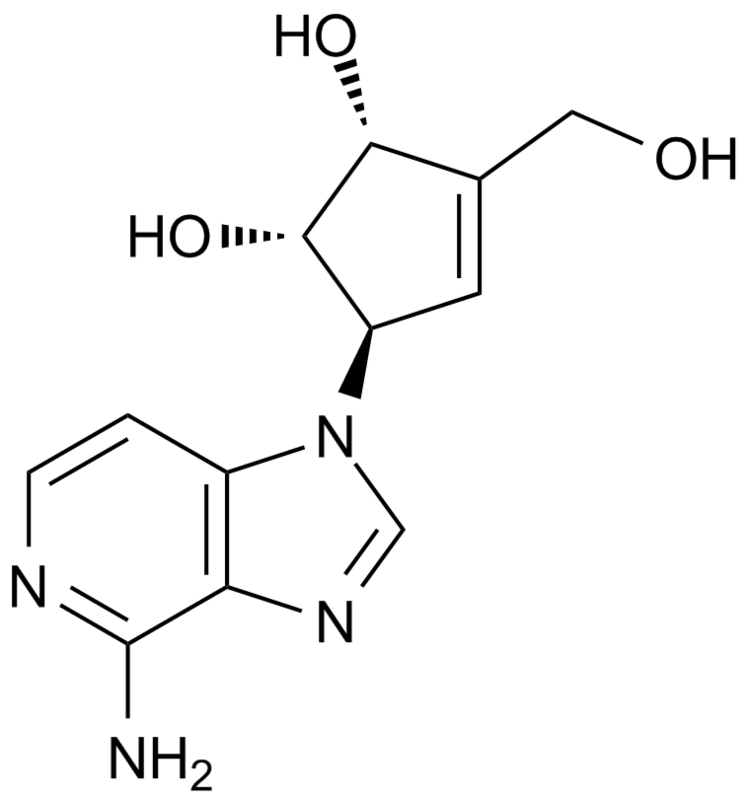 3-Deazaneplanocin A is a promising therapeutic agent for the eradication of tumor-initiating hepatocellular carcinoma cells. International Journal of Cancer, 2012, 130(11): 2557-2567.